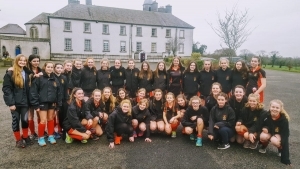 A recent trip to Wilson’s Hospital in Westmeath was well worth the effort for our girl’s hockey teams who managed to win all their matches. The Seniors won 3-1, Juniors 7-0, Minors won 1-0 and 1st Years won 2-1. The girls are at the top end of the table in all age groups for both the Leinster League and Meath and district league as we approach the business end of the season.